Polishing is the act of using a light abrasive product to remove a very thin layer from the surface that gets polished. 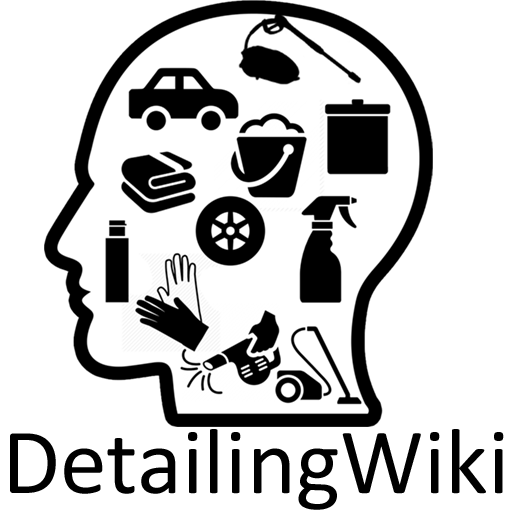 Usually this process is preceded by a very thorough cleaning of the surface. There are products to polish paint, glass, plastic, Perspex, metal and other solids. polishing removes a very thin layer, is a surface imperfection is deeper than the polish can remove, the surface imperfection can still be visible, although the removal of part of the imperfection will have made it less visible. 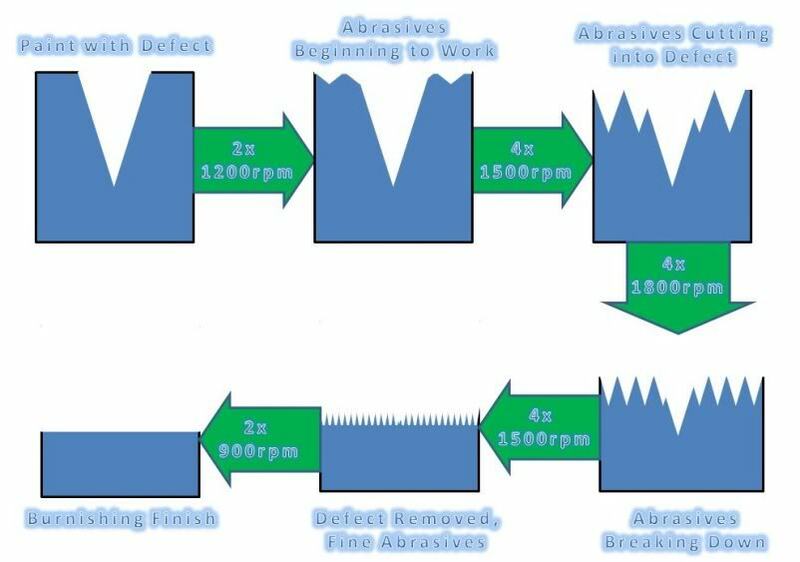 For example, if a surface imperfection is 10 micron thick, and by polishing you can only remove 7 micron, there will still be 3 micron left. Although the imperfection is 7 micron less deep and probably a lot less visible, it might still be visible. The amount of result is very dependent on the surface it is used on. Some paint can be tougher than other paint. A very tough paint needs a rougher polish to achieve affect. That same grade of polish will have much more result on softer paint. The polishingpad that is used with the polish also has a big effect on the result. A polish that is designed to remove deep marks and leaves a finish that needs refining is also referred to as a compound. These are rougher, remove more of the surface it’s used on and always need several refining steps to get a proper finish. Compound are almost always SMAT polish. polish is made out of a few ingredients. Most common is an oil to help lubricate and an abrasive material (usually a powdery substance). SMAT uses micro abrasives of a fixed size for a controlled and even effect. These abrasives stay this size. Which means that more passes will have more effect. In essence: the longer you polish, the more effect it will have (because you remove more paint). There is a limit to how long it lasts because the micro abrasives in the polish can be deformed by the polishing-action, making them less effective. Stop polishing when you have achieved the desired result. DAT uses abrasives that break down while using. A combination of pressure, heat and time causes the abrasives in the polish to become smaller and smaller. They get pulverized and disintegrate into nothing. After a certain time, the polish will have no effect anymore, regardless of the passes you make. It is highly recommended to work in the polish until it is completely disintegrated. DAT may offer less cutting power then SMAT, but they finish with a surface that needs much less refinement. In some cases you can actually achieve a finishing result with 1 polish. 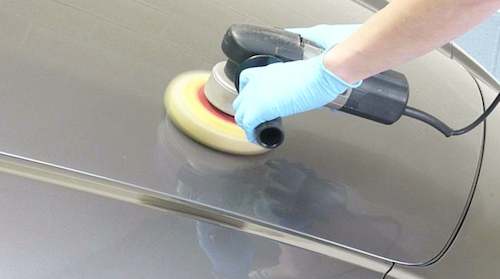 polishing or paint correction can be done by hand or machine. polishing by hand means that you have more control, can get into smaller areas and can actually “feel” how the pad responds on the paint. polishing by machine has the benefit that it works much faster, gets warmer (which helps a polish to break down) and it’s easier to work on a bigger area (preventing difference between polished areas). The downsides with polishing by hand are obviously the manual labor, the possible need for special hand polishing-pads and the time it needs to achieve the desired result. When polishing by machine you need to buy a machine (which can be expensive), you need to watch out for heat buildup, clogged pads and not to hit corners.